"Do The Duel!" The challenge is issued every year. To turn it down would mark me as a coward. Everyone meets at the chosen spot to faceoff. My legs ready, locked and loaded, thought I might be blown away. Aid stations stand ready to mend the damage if possible, while at home my family divides my possessions. 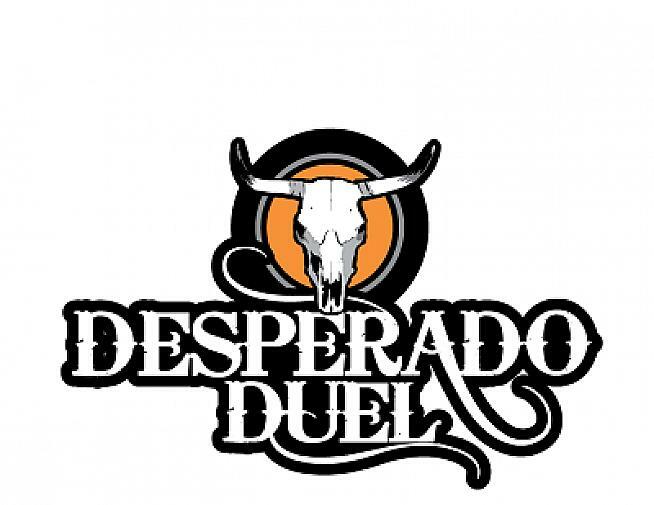 Because I entered the Desperado Duel bike race in Panguitch, Utah. 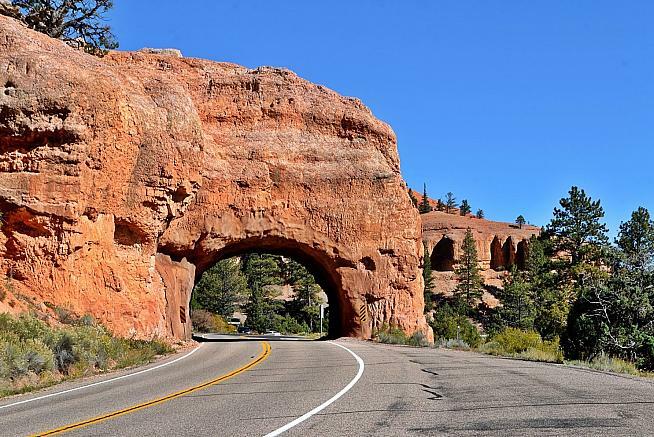 It is a big 109-mile loop in Southern Utah from Panguitch > Bryce > Antimony > Circleville > Panguitch with 3,200' of climbing and drop-dead gorgeous panoramic vistas in every direction, including Bryce Canyon National Park. It's definitely my kind of ride. 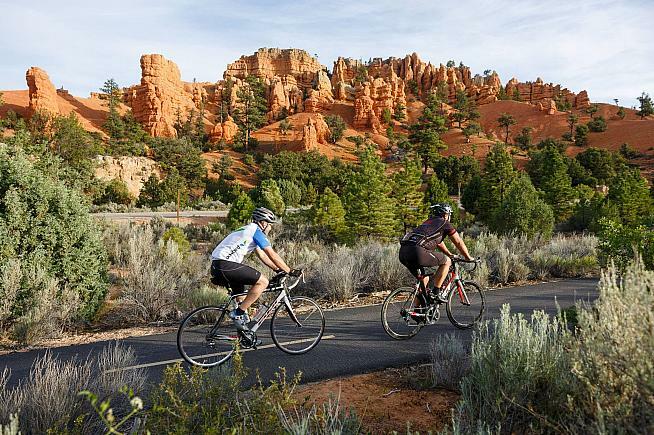 With a 3-2-1 countdown everyone safely rolls out towards Bryce Canyon via a paved bike path winding between tall pines and large red sandstone formations. 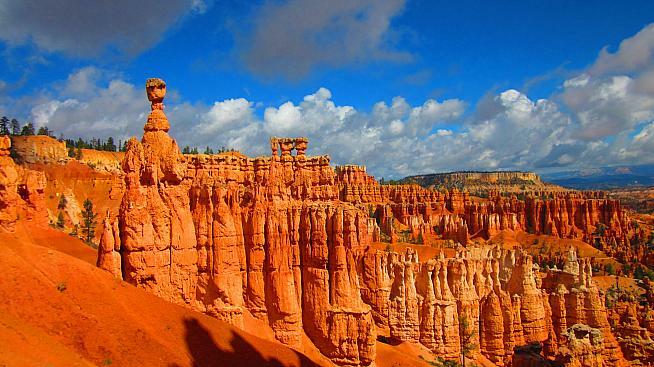 The pace is comfortable, allowing time to enjoy a landscape packed with Technicolor pinks, magentas, oranges and reds framed in pine green with brilliant blue sky overhead. Wow! A perfect way to start the day. At the top in Bryce we turn down Johns Valley with 10,000' peaks above and not a car in sight, just free-range cattle moseying along. A couple riders slip up the road from our group of 40, followed by a few more, and a few more which sets off alarms. Pushing hard on the pedals I join the lead riders thinking this might be a key move. Nada. It's grupo compactoagain within a few minutes. In perfect 70-degree conditions going downhill in a large pack it's time to kill time, so I slip back to watch the big men tow the field. In back I meet Isiah from Las Vegas occupying the final position - tail gunner. He doesn't know tail gunning is my forté. Twenty years his senior I joke about pulling rank as we agree to share the tail gunner role. Miles and minutes click by bouncing across open range on fresh chip seal, only encountering one mini cattle stampede. In Black Canyon we rail a high-speed descent where the colorful pack strings out single file snaking through horseshoe turns at 40mph. Rolling into Antimony (halfway point) the group is down to 20 riders. With key selective parts of a long ride like The Duel usually occurring in the second half, Isiah and I move up, joining the paceline work in Kingston Canyon. The pace is fast, but steady as the group works silently alongside a milk chocolate colored Sevier River. 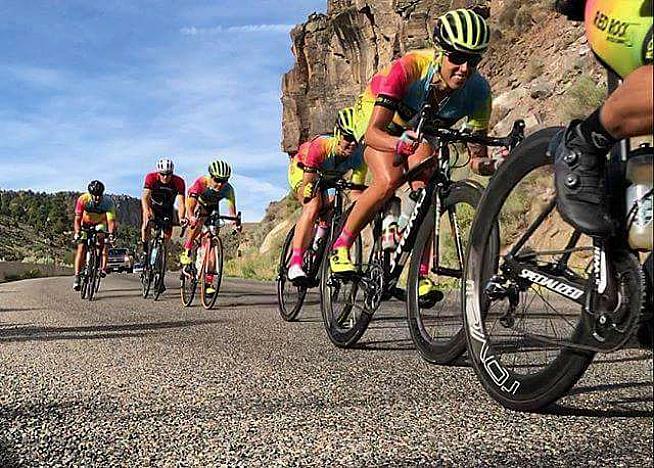 In Centerville silence is broken when a rider puts a front wheel in a pot hole, going down with a thud and the sound of expensive Chinese carbon scraping asphalt. Luckily, he is the only casualty and is none the worse for wear, showing only road rash strawberries and a bruised ego. 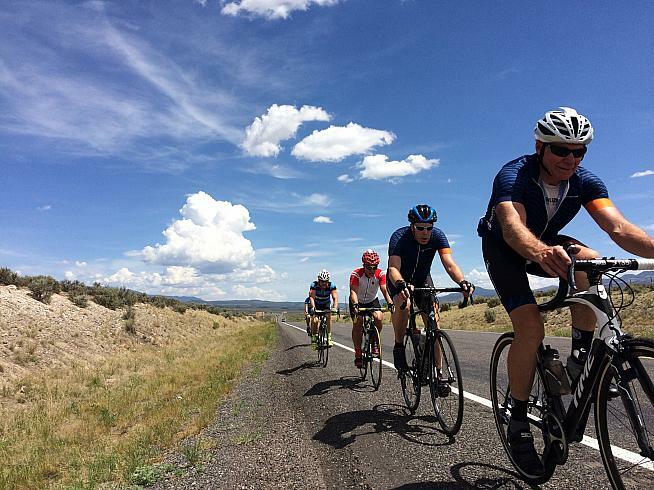 Continuing to push collectively into a headwind over numerous rollers we number 10 now. Everyone contributes to the pace, although fatigue is showing with small gaps on climbs, shorter pulls and sagging heads. For me it's tightness in the legs with an intermittent twinge. On auto-pilot now with the finish in sight at the far end of Panguitch Valley we pass the last aid station to a deafening roar. "Go Dad! Go Dad! Good job Isiahhhh!" Without any fans to yell "Go old guy!" I plead with my legs to hold on a little longer as my twinges now include pangs. 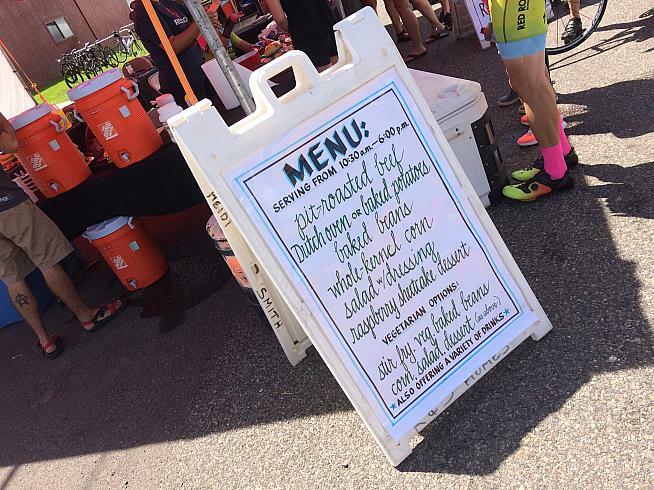 At three miles to go attacks start and soon we're a select group of five riders dueling to the very end. Although I don't feel very select. 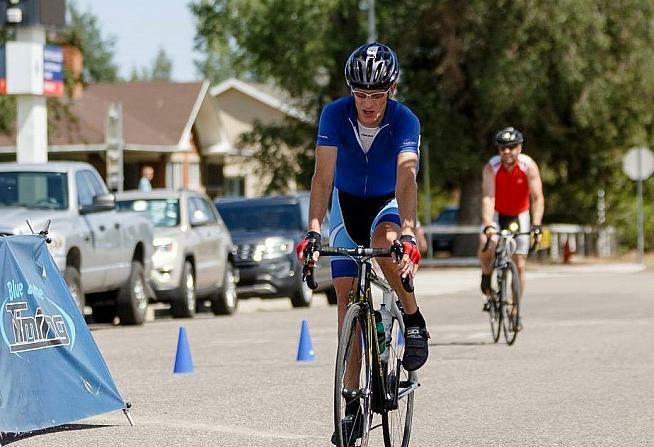 With a half mile to go my legs lock and load, physically lock up and load with lactic acid. Not just twinges or pangs, we're talking full scale involuntary spasmodic contractions painfully announcing "You're Done. Finished. Kaput." I try to pedal gingerly, stretch and think soft fluffy gentle thoughts. This mind-over-matter approach worked 25 years ago earning me a victory. Today I'm not so lucky. Legs won't turn. Stretching is definitely out of the question and my body won't fall for that whole mind-over-matter fluffy trick again. Watching Isiah and the others roll away to enjoy a celebratory sprint finish is difficult as I struggle with my painful stand-up herky-jerky pedal coast pedal technique to cross the finish line a minute behind. Soon Isiah's kids run up to great him, his son beaming with excitement as he says "Dad I want to Do The Duel!" 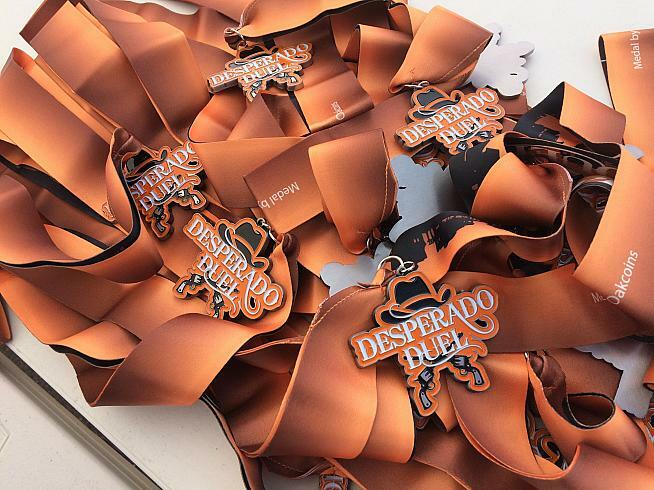 You couldn't find a better event to start a lifelong love affair with cycling than the Desperado Duel, especially since kids ride free at all Ride Southern Utah events. It is truly one of the Best in The West.